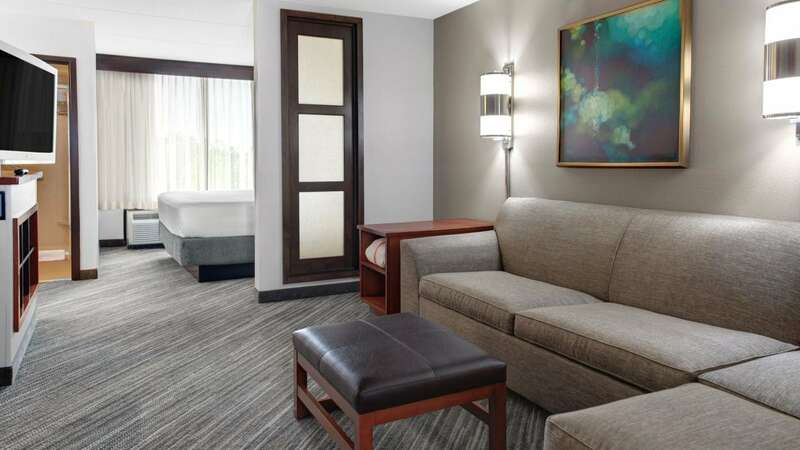 Newly refreshed the Hyatt Place Detroit/Livonia offers 127 spacious guestrooms featuring modern decor and contemporary style. 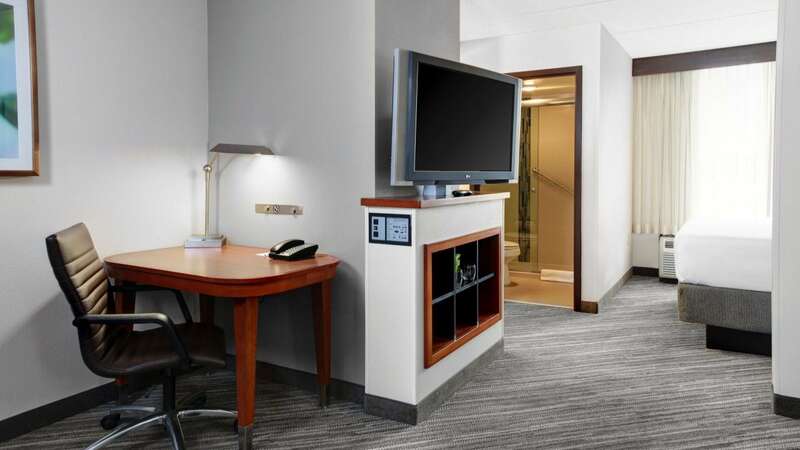 Comfortable and loaded with useful amenities, each of our rooms include a plush Hyatt Hyatt Grand BedⓇ, mini-fridge, coffeemaker, 42-inch flat screen HDTV, and our signature Hyatt Plug Panel™ media center making it quick and easy to hook your mobile devices to the TV. 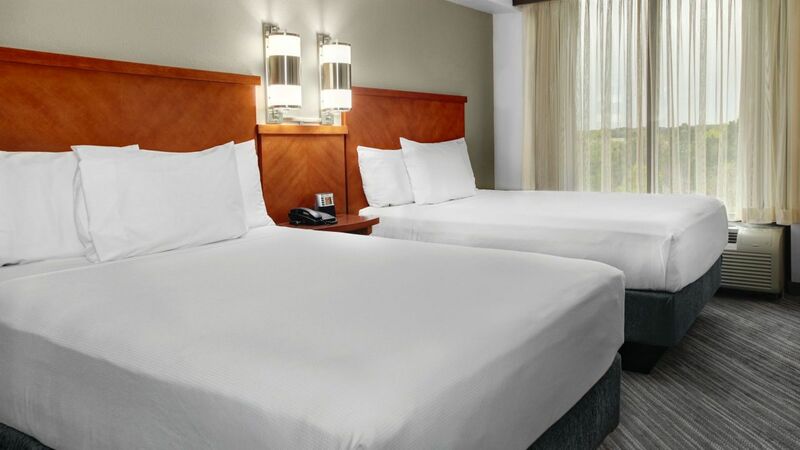 Choose a room with either one king or two double beds. Your accessible king-bedded room features a roll-in shower, Cozy Corner with sofa-sleeper, and separate workspace, all set within 360 square feet of space. 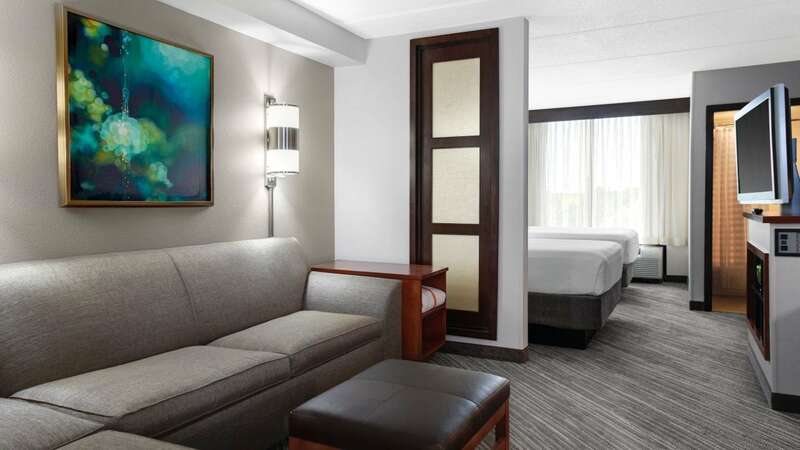 Enjoy the views from this 360 sq ft high floor room with one king Hyatt Grand Bed®, Cozy Corner Sleeper Sofa, and a swiveling 42" flat screen HDTV. 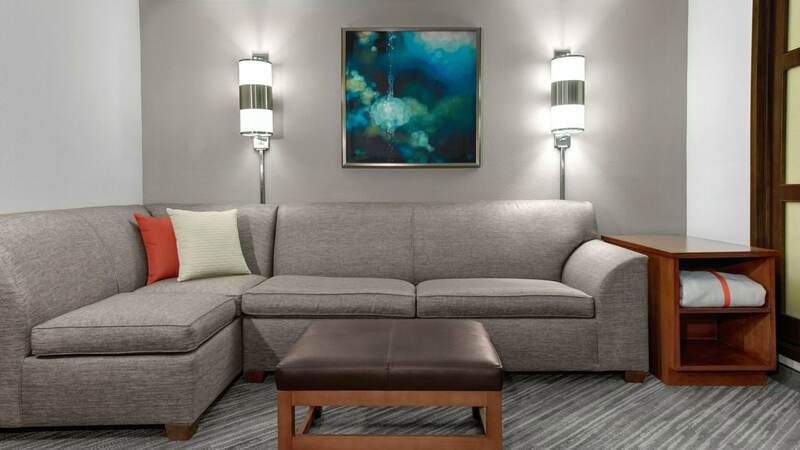 Relax and unwind in a spacious 360 sq ft room that features a plush king bed, Cozy Corner with sofa-sleeper, and modern décor.